George Archainbaud | 50 Westerns From The 50s. 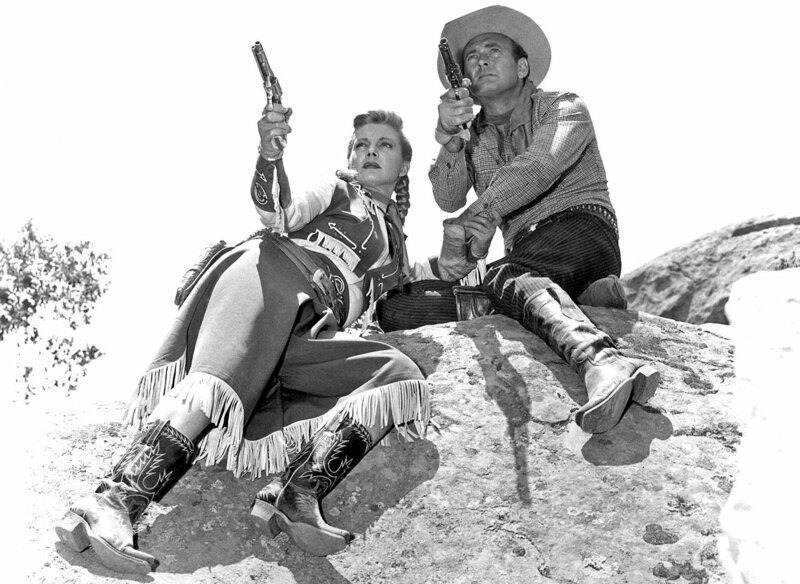 DVD Review: Annie Oakley, The Complete Series (1954-57). The Collins English Dictionary defines evangelism as “the practice of relaying information about a particular set of beliefs to others with the intention of conversion.” I think that sorta fits the overall purpose of this blog, to convince someone out there to give a particular film or TV show or whatever a shot. If you’ve read much of this thing — and God knows there’s a lot of it by now, you’ve been preached to about everything from the power of Fred MacMurray as a cowboy star to the aesthetic riches of black and white CinemaScope. The topic of today’s sermon is Gail Davis and her Annie Oakley TV show. And I’ll be referring to the VCI DVD set Annie Oakley: The Complete Series. 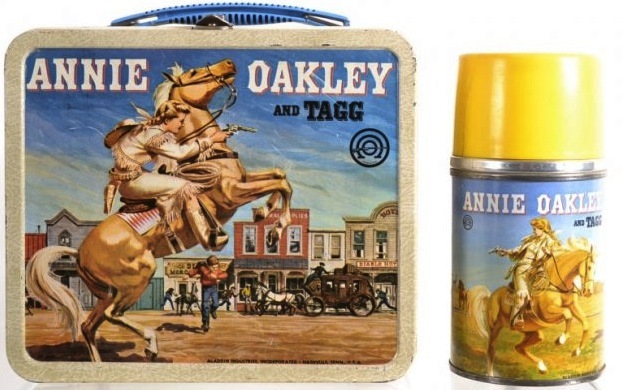 Annie Oakley works a lot like The Gene Autry Show, both from Gene’s Flying A Productions. They have the feel of a theatrical B Western — just shorter and cheaper, and clearly geared towards kids. Gene brought along some of the directors who made his features so successful: guys like George Archainbaud, Ray Nazarro, Earl Bellamy and John English. 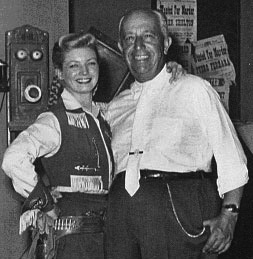 Some great character actors made their way to Annie Oakley, too: Slim Pickins, Helene Marshall, James Best, John Doucette, James H. Griffith, Lee Van Cleef, Alan Hale Jr., Dickie Jones, Fess Parker, Clayton Moore, Denver Pile, LQ Jones, Glenn Strange and more. From the writers to the actors to the cameramen — these crews were a well-oiled machine, perfectly suited to the quick schedules of TV production. They rode the same ranches, climbed the same Lone Pine rocks and punched the same bad guys. It’s like hour-long features were put in the dryer, left in there too long, and shrunk down to 27 minutes. All guided by the shrewd business acumen of Gene Autry. 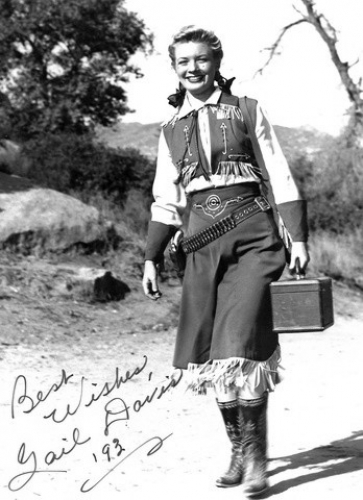 But what makes Annie Oakley so special is Annie herself, Gail Davis. And that’s not to take anything away from Brad Johnson as Lofty Craig and Jimmy Hawkins as Annie’s brother Tagg. Or from her horse Target, for that matter. Gail’s up to all the fancy riding and trick-shooting the part requires, perfectly so. She’s a real sparkplug, with enough charisma to propel each episode all by herself. It’s a role she was born to play, you hear that a lot. And it’s true, even she agreed. But it’s so much more than that. I can’t think of an actress who’s more immediately likeable than Gail Davis. It’s easy to like the 11-disc, 81-episode set from VCI Entertainment, too. You get the entire series, looking just great, saddled with extras: photo galleries, commercials, the original pilot, a documentary and more. Gail’s daughter Terrie was along for the ride on this project, and her contribution makes a huge difference. Her mother hung onto a lot of stuff, and she shares it with us. Like any TV show, some episodes are better than others. I’m still making my way through them, but I’ve developed an affinity for the episodes directed by the underappreciated Ray Nazarro. He’s a master at the kind of action this show served up every week. VCI has given this set a lot of TLC. It’s obvious from the minute you open it up. The quality and consistency never wavers. The extras are classy and comprehensive. And Gail Davis is as cool as cool could be. My daughter’s a big fan of both Annie Oakley and Gail Davis, and her enthusiasm convinced me to look into it. She was the real evangelist here, and she was right. Highly, highly recommended.